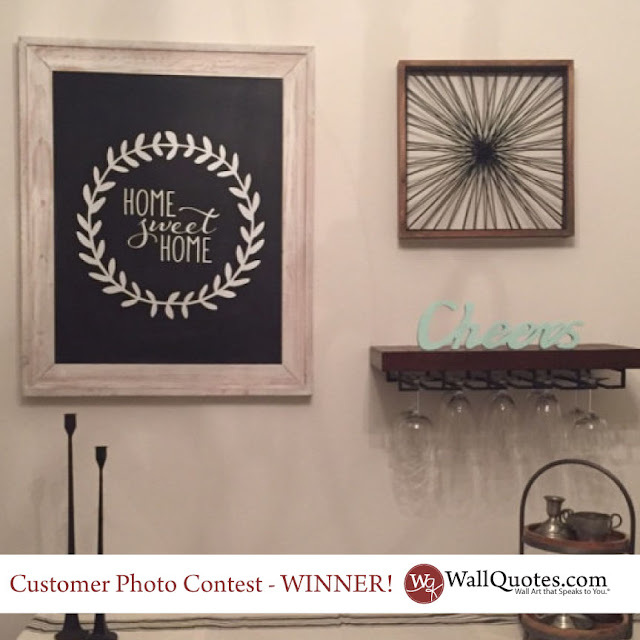 Belvedere Designs: February 2017 Customer Photo Winner! February 2017 Customer Photo Winner! Ashley posted a picture of her Home Sweet Home Leaves decal as part of a review on Etsy. I think her display is looking great already and can't wait to see what else she adds to it. She got the 18" tall x 18" wide size in White. This is also a great idea if you want to switch out your decor or use it seasonally - put it on a chalkboard like Ashley did so you can move it around your home. "My display is not yet done! But I love this decal - it was super easy to install and looks like I bought this decal on my chalk board! Love love love it! Thanks so much!"